The Yreka Community Garden “Songbird Garden” was created to meet the national goals and objectives of the Partners in Flight Program. This program is a cooperative effort between public agencies, local communities, and conservation groups dedicated to addressing the decline of songbird populations across the nation. 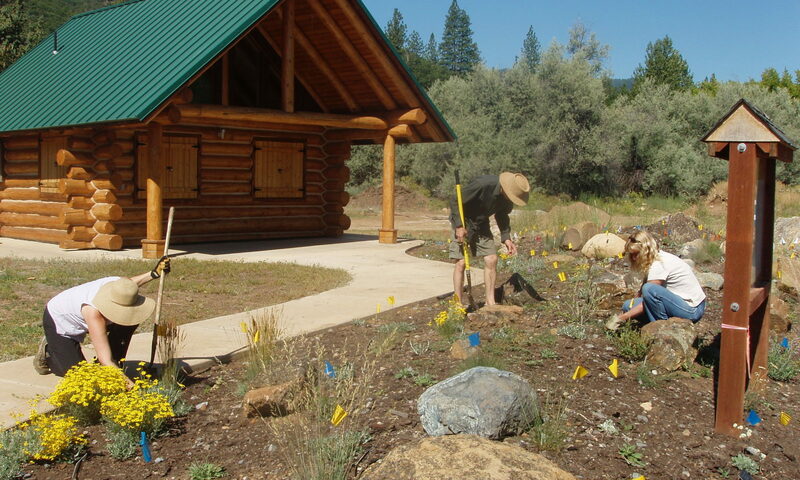 The garden was designed by Klamath National Forest biologists and Yreka High School students to provide habitat, food and water for migratory and resident songbirds in the area. It provides an area of beauty where people of all ages can enjoy the wonder of birds in our community. Students have used the Songbird Garden to learn how to improve habitat for birds and are monitoring its use throughout the year.